THIS is the class that Twin Cities mamas and partners are raving about! Taught by experienced birth doulas and Lamaze Certified Childbirth Educators with a proven knowledge and passion for birth. Engaging, honest, hilarious, and REAL Childbirth Education to prepare you and your partner for birth. If you are expecting your first child, never took a childbirth preparation class with your last baby, or just want to dig deep, this is the class for you. This class is for those with a very busy schedule that doesn't allow for an in-depth class. Not recommended for first time families, but will work in a pinch. We bring the same humor, fun, and evidenced-based information to you, but condense it in a way to get you in and out in one day. 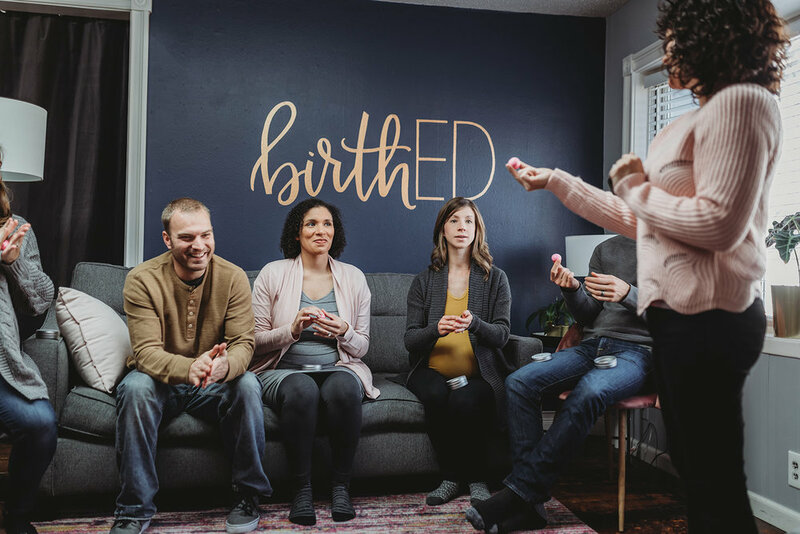 Includes 4 hours of class time where we cover general stages of birth, normal birth expectations, common meds and interventions you may encounter, as well as choices and planning for your best birth. If you don't see the class you need listed here please contact us and we will happily add it to the schedule for you!